The Intolerant Gourmand - CMPA - The Real Story! Last night saw the second instalment of TV programme ‘The Dr who gave up drugs’ air on BBC1. It focused on mental health in teenagers, but also of significance to me, the rise in the diagnosis of CMPA in babies. This is certainly something I have witnessed for myself through the work I do. I’m not an Allergy Consultant, GP or Health Care Professional, but I’ve lived and breathed allergies, including CMPA because of my son Callum. I have had to learn to live with severe and indeed multiple allergies on a daily basis, and I’m passionate about helping others in the care of children with allergies. My sole purpose for this, is to stop little ones suffering unnecessarily! It is because of this that I am now writing this article, disappointed that such an important topic has not been given the due care and attention it deserves. Instead, sloppy journalism has prevailed, with biased views at the fore, instead of looking at the bigger picture and providing a balanced opinion. Over the years I have done much research amongst the various professional groups I am part of. I also work closely with Allergy UK and Anaphylaxis Campaign who are the leading charities for allergies in the UK. Additionally, I work with many parents who are desperate for support and advice as they battle (and I do use that word as intended) for a diagnosis. Often it takes multiple trips to the GP and even A&E before a diagnosis of CMPA is given as many are fobbed off with comments of symptoms being ‘simply’ baby eczema, colic, reflux, or the classic ‘it’s just what babies do’. Our own experience with Callum resulted in a diagnosis of multiple allergies at 16 months. His 1st reaction was at 8 weeks old. It was a long and difficult journey to simply get a diagnosis, and it shouldn’t be like this! I have worked tirelessly over the past 3 years, alongside the leading charities, the leading Paed Consultants and more to try to improve diagnosis, support and treatment of CMPA and other allergies. It’s been a thankless task, and only very recently have we seen improvement. Just last month, I travelled to Belgium to present at a large conference created specifically to educate and support consultants in the diagnosis of CMPA and the very real impact it has on children and families before, during and after diagnosis. For transparency, this was sponsored by a pharmaceutical company, but attendees were from across the globe, and leaders in their field, keen to learn and understand more about the pioneering work conducted in studies and the results obtained. Dr Chris Van Tulleken, the presenter, began with visiting a pharmacy and asking to see the specialist formula manufactured to support babies suffering with CMPA. He was presented with Nutramigen and Neocate formulas (extensively hydrolysed and amino acid based formulas used in the management and support of CMPA) and acknowledged that in the 10 years to 2016, prescriptions had increased by around 500%. The cost to the NHS is reported to be £64 million. I would absolutely agree with this statement. They used to say that a child was ‘failure to thrive’ because they didn’t understand the symptoms or know how to interpret and treat effectively. It is only through extensive studies and pioneering work from our lead Paediatric Consultants that things are now improving and support is becoming more available. Dr Chris Van Tulleken also made reference to the fact that Nutricia is owned by Danone, and that educational events sponsored by manufacturers of Nutramigen and Neocate was simply advertising on a huge scale, effectively brainwashing consumers and health care professionals. Following this, we are then shown a family with a baby who has eczema. Following a consultation with their GP they are told it is simply baby eczema, but a few weeks later after a fall and bump to the head, the baby is checked over in A&E and the consultant on call sees the eczema and suggests CMPA to possibly be the cause and prescribes specialist baby formula to see if symptoms ease. The parents sought a second opinion, and it turned out that the baby didn’t suffer with CMPA. Whilst there has been an accusatory bias running throughout the programme, at this point it becomes heavily biased. The family claim they were in a ‘terrible situation’ and that they were forced to use ‘bad formula’ with ‘missing nutrients’ and concerned they had damaged their baby. For anyone who has dealt with a child truly suffering with CMPA, it will have seemed inflammatory at minimum. Their’s was NOT a ‘terrible situation’. I would classify a child suffering with a severe allergic reaction caused by cow’s milk protein, with urticaria, compromised airways, wheezing, vomiting to be a ‘terrible situation’. Add to that, watching consultants do everything they can to reverse a reaction, willing your child to pull through, as we have had to do, is a ‘terrible situation’. It is these babies that NEED this specialist formula to not only support their feeding and ensure they are not nutrient deficient, but to also aid their body in recovery. Other formula or indeed breast milk if the mother is still consuming dairy products is essentially poisoning them, causing them very real problems. Someone who’s dedicated their life work to helping these very children is Dr Adam Fox, Clinical Director for Specialist Ambulatory Medicine, previous Clinical Lead of Allergy at St Guy’s & St Thomas’ Hospitals, London. He has chaired the UK Department of Health National Care Pathway for Food Allergy in Childhood, and was a member of NICE clinical guideline development group for the assessment and diagnosis of food allergy in children. And Dr Adam Fox is also a senior author of the Milk Allergy in Primary Care guideline and has been elected as President of the British Society of Allergy & Clinical Immunology. It is therefore extremely disappointing to watch a programme which last night served only to try to ‘catch out’ this influential and dedicated Dr. One who many children and families owe much to their improved treatment. And indeed someone that many in the medical industry look up to with much respect and awe at the pioneering work he has been involved with. 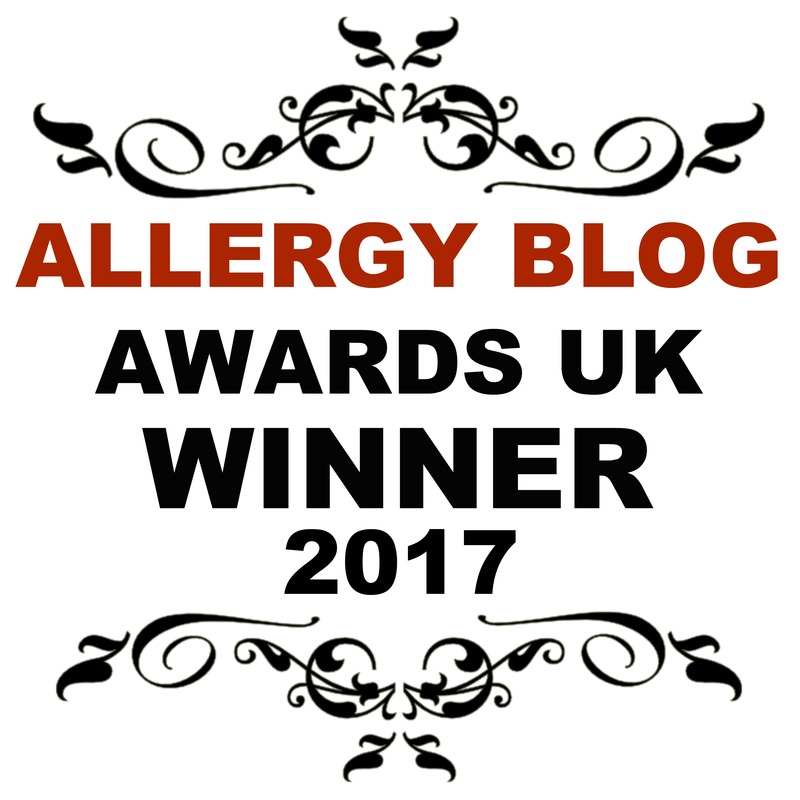 Dr Adam Fox is a Director of the Allergy Academy, a body set up to create and develop courses with the practising clinician in mind, to provide them with the most up to date information on allergies. Corporate partners were sought to shoulder the burden of cost and ensure that there would be no barrier to education. Indeed the academy has successfully delivered education to over 10,000 delegates, and many more thousands through online content. That is quite some achievement for an area seriously lacking in understanding and education. So why did this programme seek to pull apart this impressive work? Because it is sponsored by large companies such as Nutricia, and seemingly by default are now tarnished with this ‘ad only’ mentality. Something I am sadly only too familiar with. I absolutely agree, whatever can be done to reduce suffering and improve treatment can only be a good thing. Anyone who disagrees with this has clearly never seen a baby suffer with CMPA or other allergies, nor understands the massive impact it has on daily life – as I document regularly on my blog! Dr Adam went on to confirm that whilst the Allergy Academy is funded by large sponsors, ultimately they have NO editorial control, and that whilst logos and material is permitted at education events, they are kept separate to the information being provided within the learning areas. This to him is sacrosanct and only goes to prove that money is not the driver in any circumstance. Dr Chris Van Tulleken did not touch on any of the pioneering work that Dr Adam Fox has been focused on, nor did he acknowledge that without the sponsorship of these large companies, studies such as the ground breaking LEAP study would never be able to take place. These very studies are pushing our knowledge beyond what we all believed, showing that there are new treatment pathways to consider, and even better ways of saving lives. Whilst Dr Chris is adamant that the GP that you go to see will have got his information from medical school, I would like to point out that every single GP, Consultant and so on needs to complete several hours CPD each year to maintain their education and remain fully up to speed with latest findings, new studies, improved treatments and more. If a GP is out of medical school for more than a decade, it stands to reason that their information will be dated and in need of revising. But this was not ‘important’ enough to include in the editing. Meaning that his job, his sole purpose of keeping children well, figuring out the cause of their allergic responses, finding the solution and then giving them a treatment plan is not kept sacred. He shares his knowledge and wisdom so others can have the benefit too. Dr Adam is regarded as one of the best Consultant’s for allergies. He is ‘the’ consultant families want to be treated by as they know they’ll get good results, that their child will suffer no more! When you have so many children already struggling to get diagnosis, just like Callum, we can only hope that the pioneering work of Drs such as Adam Fox, and also Neil Shah, Rosan Meyer, Helen Brough and many others is not damaged by this programme. Because without them, my son would not be here today! So, I ask you, instead of the sensationalising title for viewing figures, is it ‘really’ big business getting between children and their health, or actually, are they saviours. And in fact, has the bigger picture been missed? BBC1 give me a camera crew and one month to film the other side of the story, and I’ll give you a programme you’ll be proud to shout about! Well done for writing such a composed response. How dare he suggest that Neocate isn't needed. He should be talking to parents of children who suffered if he wants to make a good programme. Let's be fair there is enough drama and outrage in the truth so why go to all the effort of making a programme like this. Poor journalism at its best. While I agree that pharmaceutical business interests should not be influencing patient care, I would be interested to know what Dr Chris suggests as alternative sources of funding for research and education into food allergies, as it is clear that this is a growing need which isn't being filled in other ways. Neocate was a lifesaver for my son when he was failure to thrive at 3 1/2 months - he is now a happy, healthy 8 year old. It doesn't look like the "missing nutrients" have had a massive impact on him - he'd have been missing a lot more without the formula. If I had continued to breastfeed he might have been ill for much longer as we later found out he was also allergic to wheat, oats and legumes. I wonder if Dr Chris could tell us an alternative formula that doesn't cost money to the NHS and isn't pushed by big pharma. There is an obvious reason why companies are happy to fund these education events. Maybe if the NHS funded their own events and research, they’d save money in the medium-long term in overdiagnosing unnecessary medicines. Very well put Natalie! I don't suppose Dr Chris considered his own 'sponsorship' by the BBC as clouding his judgement - he has to make programmes in order to keep the BBC pay check rolling in. Being controversial perhaps helps with that? ?